With the exploding advancements in technology forever changing how we consume media, I invited Mike Kelley from Grabyo onto the show. Grabyo is the leading cloud-based video production, editing and distribution platform. 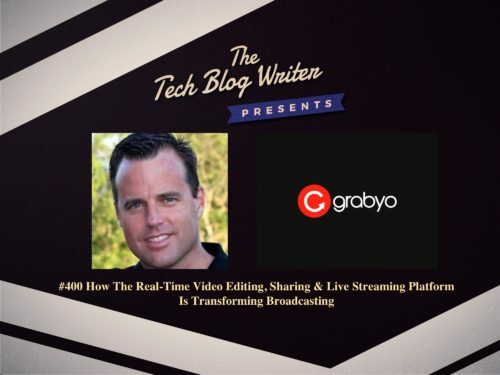 Through Grabyo, users can produce, edit and broadcast live videos, with the ability to include interactive data visualizations, highlights and in real-time. Grabyo also enables instant publication through social media platforms, such as Facebook, Twitter, Periscope, YouTube, and across mobile apps. Sports and tech: why traditional 24/7 broadcasting should fear for its life. How typical online streaming is no longer sufficient in today’s media-hungry world. Mike Kelley is a seasoned entertainment & sports executive with a deep experience in digital strategy, marketing, business development & operations. For the past 18 years, he has been on the forefront of the evolution of content distribution – including early web, interactive TV, OTT/TVE products, and now live & VOD social video. Throughout his career, Mike has consulted with top broadcasters, sports properties, & brands in their global efforts to build deeper connections to their fans & consumers. Mike also has a keen understanding of the intersection of technology, content, & marketing strategy to drive a partner’s business goals. His global experience, management skills, & industry relationships provide a foundation for leadership & entrepreneurship in any organization in this space.